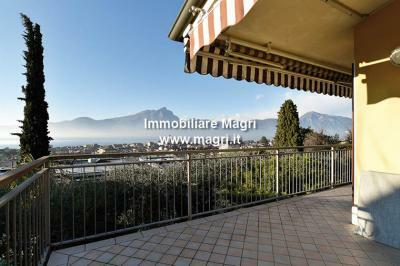 New modern Villa surrounded by a huge park of 4.500 sm with breathtaking lake view. In wonderful and panoramic position, with amazing lake view and surrounded by greenery, contemporary single Villa of new construction on one level, with exclusive design and surface of about 200 sqm and private land of 1.000 sqm with pool overlooking the whole lake, composed as follows: on the ground floor spacious and bright living room with big and panoramic windows, open-space kitchen and dining room, large covered terrace (portico), pantry, double bedroom with private bathroom, two double bedrooms, two bathrooms, laundry room, double garage and technical room. Spectacular swimming pool and big solarium with total lake view  Extraordinary architectural design  bright and large windows overlooking the lake and nature  the building is realized with modern techniques and made with the aim of saving energies, with high standard comfort. Living space (sqm): 200 sq. 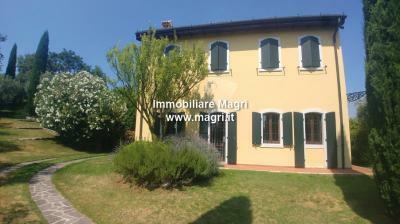 m.
Garden: Private, 1.000 sq. m.